Once again, we’re back with another comparison between two really great models the Nespresso Vertuo and Essenza Mini, from a great maker of products: Breville! In today’s comparison we are going to look at the Nespresso Vertuo Coffee and Espresso Machine and Nespresso Essenza Mini Espresso Machine and find out which model is a better choice to go for. Taking a look at their main features and differences it’s clear that the Essenza Mini is a lot cheaper because it just does one thing – although it does do this one thing very well. 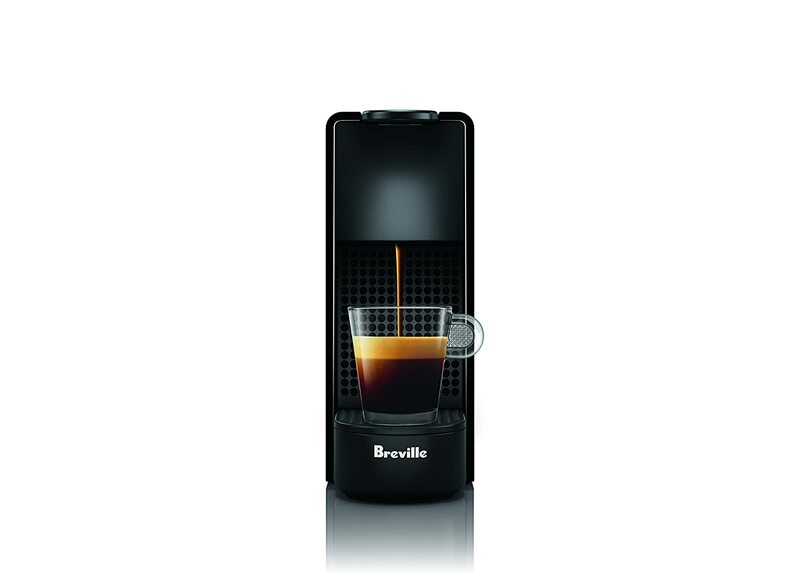 It makes single shots of espresso or longer lungo shots at the touch of a button. If that’s all you want out of your Nespresso machine then you should stop reading right here and just pick up an Essenza because they are super affordable and they do that one thing perfectly fine. You can see pricing right here. If however you want your Nespresso machine to have the ability to not only made a shot of espresso but also be able to make a full cup of regular coffee then you’ve got two main options. The main one is the Vertoline machines which start out on the low end with the basic Vertuo and your best alternative is the Nespresso Expert which is an Originalline machine that can make an Americano, a drink most people consider interchangeable with regular coffee. The Vertuo is the most affordable machine Nespresso makes that will brew both espresso capsules and coffee capsules although they do have some higher end Vertuoline models that do a few more things that some people might like. Check out pricing on the basic Vertuo here and remember, the extra cost is mostly going to get you a dual purpose machine that makes both espresso and/or coffee. You can also see our full comparison of the Nespresso Original and vertuo machines here. Now there’s a lot more to say about the Essenza Mini as it relates to the Vertuo so lets dig in and consider the details. What are the main features of the Nespresso Vertuo Coffee and Espresso Machine? The Nespresso Vertuo Coffee and Espresso Machine is by far one of the most loved products in the Nespresso range from the Breville line of products. 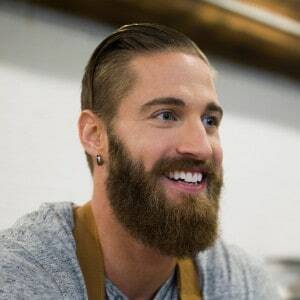 In fact, this product is one of those products that several people believe to actually really have one of the highest levels of functionality among all the Nespresso Machines available out there! The Centrifusion Technology gives it an edge over most other machines- with over 7000 spins per minute, you can be assured that you’ll get the perfect flavor you are looking for. Code Reader, yes, you get a code reader with your machine that reads the code for your capsules and prepares it perfectly the way it’s supposed to be prepared! That’s something right from the science fiction movies! Next in line is the Milk Frother that the Vertuo comes with. Several people are on the lookout for this, so the Vertuo comes with one and would be a great choice for you if you’re looking for one! The Vertuo also has an used capsule container where it stores the used capsules. This means, you don’t have to manually replace the capsules every time, making it a lot more hassle free to operate! One of the most important things to keep in mind when it comes to the Vertuo maker is that it can make BOTH coffee and espresso, making it a lot more versatile! The Vertuo is available in several colors! You can choose from Black, Chrome, Matte Black, Red and Titan based on the color and overall look of your kitchen. This allows you to select the model that perfectly compliments your kitchen, making it even more beautiful! So, this is one of those models that provide you with a lot of options when it comes to considering the aestheticism. If you want more info then make sure to see our full review of the Vertuo here. You can also see product specs over on the Amazon sales page. What are the main features of the Nespresso Essenza Mini Espresso Machine? 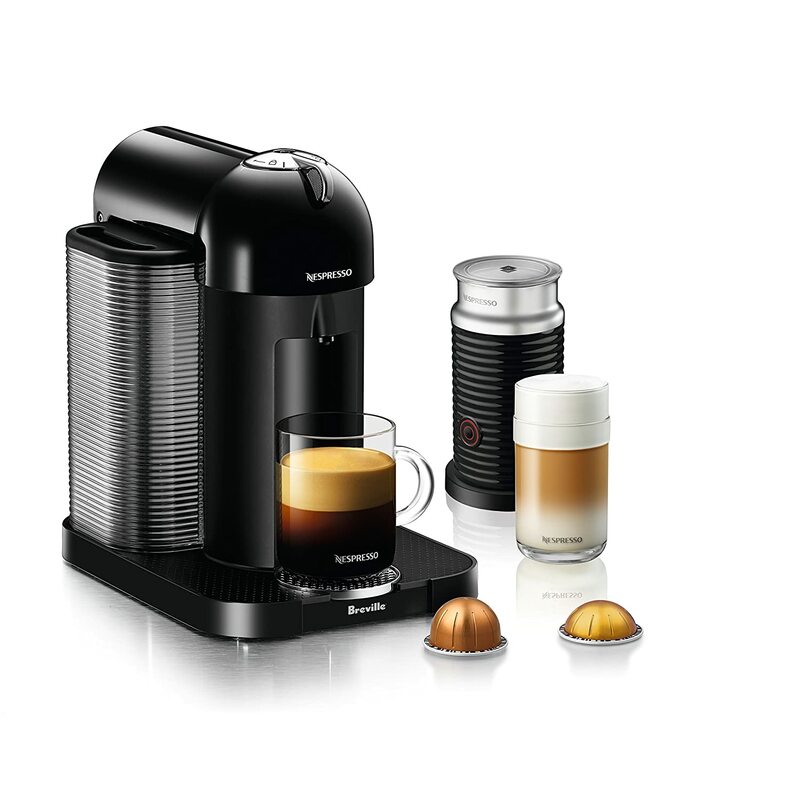 The Nespresso Essenza Mini Esopresso Machine boasts of the perfect sized to be placed wherever you want to place it! Unlike the De’Longhi Nespresso Expert Espresso Machine (Click here to read my review of the De’Longhi Nespresso Expert Espresso Machine) which is too large to properly put on any countertop, this model is actually the right size to place on any counter-top or tabletop! This model also boasts of the centrifusion technology that Breville provides you with and so you can rest assured about the perfect aroma and flavor for your coffee/espresso! This machine also boasts of a handy interface, it provides you with 2 programmable Coffee selections with automatic flow-stop for Espresso and Lunge preparation! The water tank is also removable so that you can easily clean this model! This makes the cleaning a lot easier and a almost entirely hassle free! Finally, this model is a pretty affordable model! In fact, this model is priced less than what it should be priced at for all the features that it offers you with. So, if this seems like a model around your budget range, be sure to at least consider it! These two models, although from the same line of product, have quite a few differences that you must be aware of if you plan to find the right one for yourself. These differences actually put these two models apart enough for you to easily find out which one is the right one for you if only you keep in mind what you’re looking for. The first difference is that the Vertuo comes with a milk frother while the Essenza does not come with one. Several people actually want it, and if you are one of them, you really should go with the Vertuo in this case. The Vertuo provides you with a capsule specific brewing system by reading the code. This is actually a pretty advanced thing and the Essenza does not provide you with it. This is a really high level of extra functionality that you get with the Vertuo. Versatility is yet another thing that the Vertuo boasts of. It can make both Espresso and Coffee while the Essenza can make only Espresso, giving you a good reason to buy the Vertuo if you want to make coffee too. Another thing that the Vertuo boasts of is the removable used capsule container that can be used to hold the used capsules. This is yet another thing that the Essenza does not really provide you with. This, while seemingly insignificant, actually is a really big thing because it frees you from the hassle of having to hold them one by one. The Vertuo is available in several colors such as Black, Chrome, Matte Black, Red and Titan. The Essenza, however, offers you only a Piano black option and nothing else. So, from the point of aesthetic options, the Vertuo still has the lead. However, the main place where the Essenza takes lead is economy. This is because the Vertuo is a lot more expensive than the Essenza and so if you’re on a comparatively conservative budget, the Essenza seems like just the model you should go for. For its price, it provides you with quite a lot of features and is really worth it! Final Verdict: The Breville Vertuto is the one that is preferable of the two here. However, it is so only if you can afford it without being worried of going over budget. The Essenza is also a great model and worth buying, so if you are on a conservative budget, don’t hesitate to go for it. However, if you’re considering going for the Essenza, you might also want to consider the Nespresso Inissia Espresso Machine by De’Longhi. ← Breville Infuser BES840XL vs. Duo Temp Pro Espresso Machine: Which is Best?